Franny Marten's life is unraveling. Expecting to meet her boyfriend, Marcus Marks, for dinner, she finds his wife waiting for her instead. After the initial shock wears off, Franny finds she has more in common with Clare Marks than she could ever have imagined. And, amazingly, the women become fast friends. 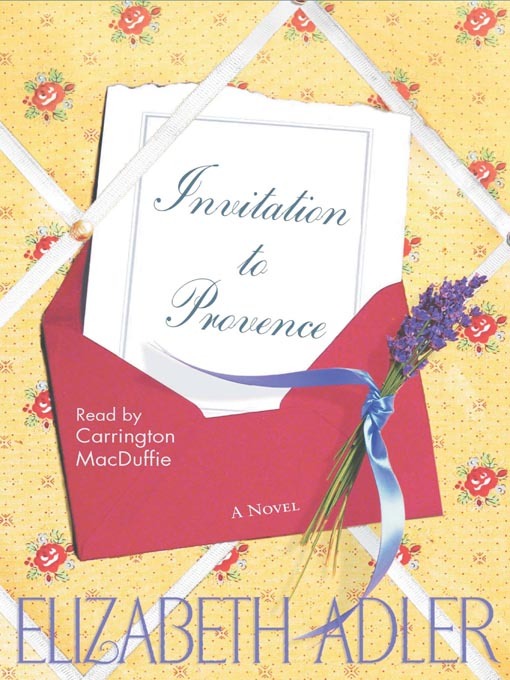 When Franny is unexpectedly offered an all-expenses-paid invitation to a family reunion in Provence, she goes, and takes Clare along for the ride. Provence is everything Franny pictured, but nothing at all what she expected. There are dangerous family secrets buried deep in the lovely landscape of southern France, and there is someone who will go to great lengths to keep Franny from uncovering them. Elizabeth Adler casts an unforgettable spell as Invitation to Provence transports listeners to a truly magical place.